Beautiful Incentives: Oofos Shoes Review & Giveaway! 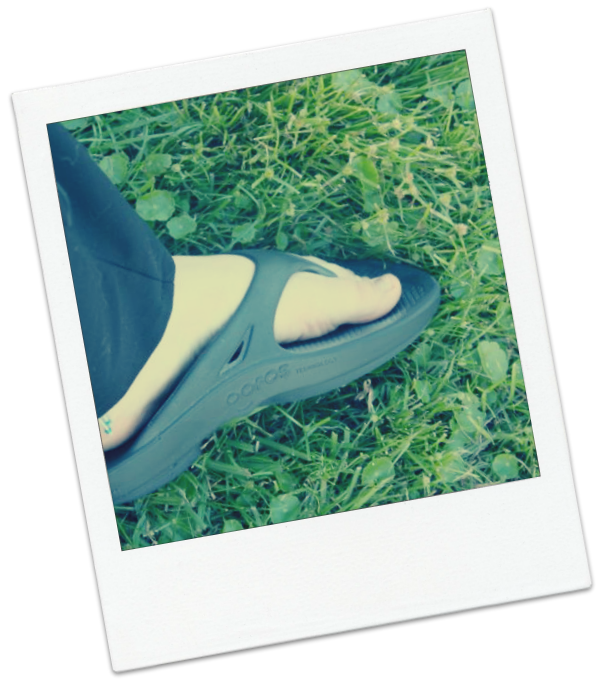 Oofos Shoes Review & Giveaway! I always struggle to find affordable shoes that fit well. I have a bad back and shoes are of the utmost importance to reduce the discomfort as much as possible. Usually, this can be achieved with your average senior citizen shoes that have absolutely no style and are pretty hideous. I want nice shoes and i'm not nearly old enough to give up style. 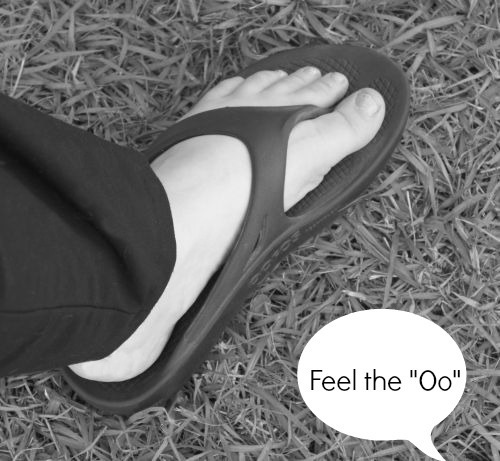 Enter the Oofos flip flops. Very stylish AND comfortable. These aren't your average flip flops. They are a cushy ergonomic heaven for my feet. These shoes are above and beyond comfortable and what is astonishing is that they are made to be flip flops and no pair of flip flops I own could ever come close to this comfortable. I even wear them around the house, because I don't want to take them off. I have had these for a month now and they have been my constant companions. I wear them almost every day, even with the cold moving in. I live in FL, so it hasn't gotten nearly cold enough to quit flip flops. I think when it starts to get legitimately cold, I'll test them out then too. They're so thick that they may just be kinda warm. I do love these shoes, they have been excellent for my back, but I feel it's important for consumers to know the small cons. One is the sizing. When I tried on my first pair of Oofos, they seemed really big for me. They are a very wide shoe to begin with, which I don't mind, but the length extended further than what looks normal. The PR was kind enough to send me another pair that were one size smaller and unfortunately, they were too small! So, now I just stick with the bigger ones. I adapted to them and it doesn't bother me THAT much anymore. I think it would be so much more helpful to provide half sizes, as many people struggle with finding the right fit. The other issue is if your feet get sweaty enough in them, they will squeak like pool shoes. Small pet peeve and it doesn't happen too often. Powder or some other solution will probably fix that. Over all, I find these shoes fantastically comfortable. I chose the black and I love it. It's classic and goes with everything. They mold very well to my feet and are incredibly cushy. They are also bouncy. It's hard to describe. It felt weird at first and took some adapting, but it wasn't long before I got used to it and felt the "Oo" in Oofos! Oofos are available in Men's & Women's sizes, and come in 3 designs: The Slide, the Flip Flop and now the NEW Clog style for colder weather. To be in stores and on the website soon! The colors range from vibrant to your classic black and brown/mocha. I think I'm going to go for the pink ones next time, for more variety. I say next time, because there will definitely be a day when I purchase my own. You can find out more and purchase your own at their website. OR you can enter today for a FREE pair, courtesy of the good people at Oofos! Great review and I'll be back for the giveaway!! HAH! Those are actually kinda cute they look spongy! I've never heard of these! I live in AZ and wear flip flops through out the year and could absolutely use some confy ones! I love my Oofos...now i need some of the croc style for winter, these are the most comfy shoes ever! I really want to try out a pair of the clogs too! The look SOOOOO Comfy. I live in flip flops, but most the times, they are so uncomfortable. Thank you. These look great thank you for sharing it with us. Nice--can I spread this around for you?? 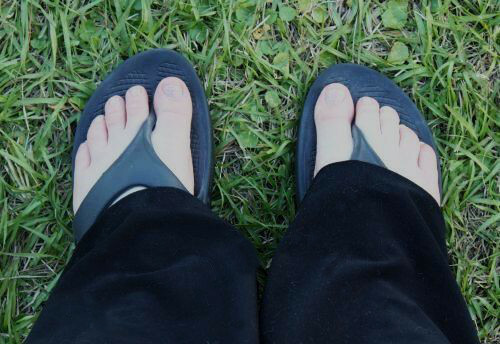 Living in Flordia comfy flip-flops or sandals are a must. These sound great. We love Oofos! Super comfortable! I love Oofos! I have the pink ones and wear them all the time. Oo They look really comfortable!! Great review! If I could get away with it, I would wear sandles even in the snow. I have a pair of these and absolutely LOVE them! They are so comfy and go with practically everything! These are the most comfortable sandals ever! Great review! The way I look at those pair of "shoes" they are soooo comfortable. They are light. Aren't they? i won the free pair. the shipping time was incredible - less than a week from learning that i had won. i got the flip flop in black. i would love to try the clog. these are the most comfortable flip flops that i have ever worn. good support. when i first got the box and saw them i was a bit overwhelmed because they seemed a little on the big size, bulky. but i soon changed my mind as i started to wear them everywhere.